During the cold season, lots of us turn to matte makeup and dark lips to go with our coats and boots. But just because it’s the dead of winter, it doesn’t mean we can’t glow like we just got back from Miami Beach! Thanks to Ofra Cosmetics’ new On The Glow professional makeup palette, you can get that shimmery look year-round! We will never get over the fact that thanks to the magic of the internet we now have access to the amazing products that heretofore were only available for makeup artists! Normals like us deserve the very best products as well, especially with the wealth of online tutorials that have basically unleashed professional-level tutorials on an entire generation! The On The Glow palette is available for $149. This highlighter and bronzer palette is absolutely gorgeous! It’s a work of art in itself, it also works for all skin tones and can also be used as an eyeshadow palette! 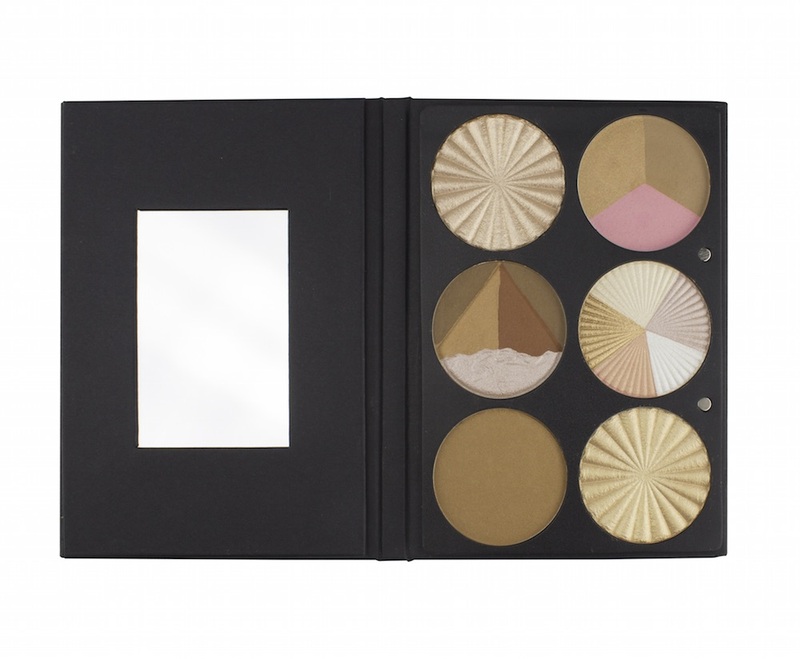 The palette is made up of six best-selling OFRA highlighters and bronzers: Beverly Hills Highlighter, which has five shades which can be used individually or swirled together. Rodeo Drive Highlighter, a versatile and universally flattering sun-kissed gold shade. Blissful Highlighter, a golden-bronze highlighter with rose undertones that can be used as a highlight, eye shadow or blush topper. California Dream Triangle, which has three shades including a matte bronzer, a matte blush and a shimmer bronzer. 3D Egyptian Clay Bronzer is a multidimensional bronzer and highlighter. And Americano Bronzer is a warm-toned powder bronzer with a slight shimmer finish. That’s a whole lot of bang for your buck, if you ask us! And you know we’ll do just about anything to glow like our girl, J.Lo! What do you think? Is this the kind of palette you absolutely have to jump on? Don’t forget, Valentine’s Day is coming up, so maybe you can drop a few hints! Get the Ofra Cosmetics’ On The Glow palette, here.